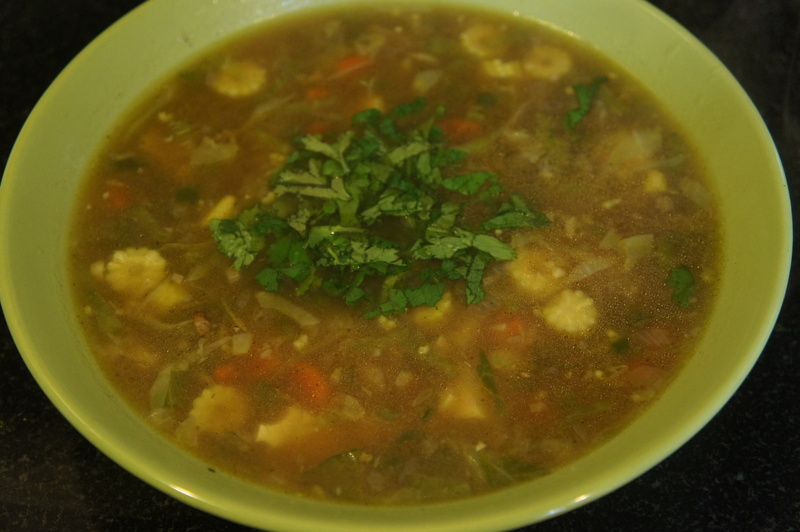 hot and sour vegetable soup | Life's Conundrum - Eat to Live or Live to Eat? For all lovers of Indo-Chinese cooking an all time favourite has to be a vegetable hot and sour soup served with sliced green chilli in vinegar. This is our version of a classic. Heat a pan with the oil in it. Saute the minced garlic and ginger for thirty seconds before adding the chopped onions, green peppers and green chillies. Cook on medium heat for 5 minutes (do not brown) and then add the remaining vegetables keeping the tofu aside. Sprinkle the white pepper powder and add the stock cubes with a litre of water. Bring to a boil and simmer over low heat for 10 minutes. 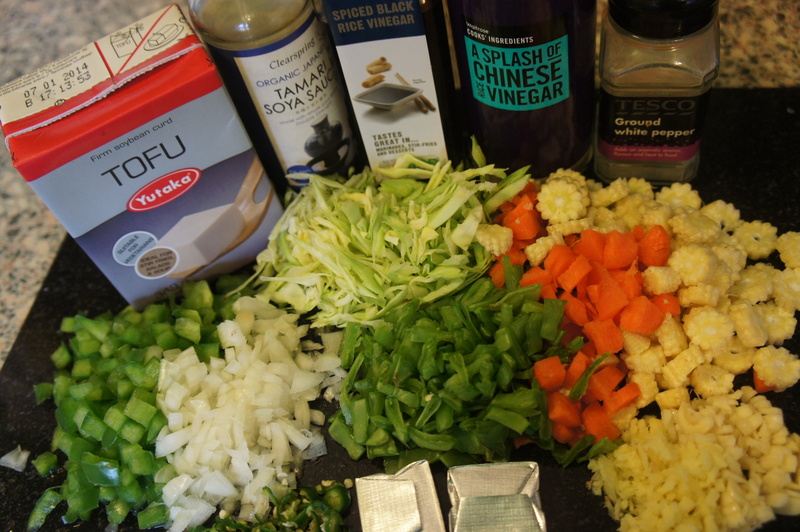 Add the soya sauce and vinegar and adjust the seasoning if necessary. Dissolve the corn flour in a little bit of water and add to the soup. Allow the soup to thicken a bit before switching off the heat. To serve, place some of the tofu in a bowl – pour the hot soup over it and garnish with fresh chopped coriander.